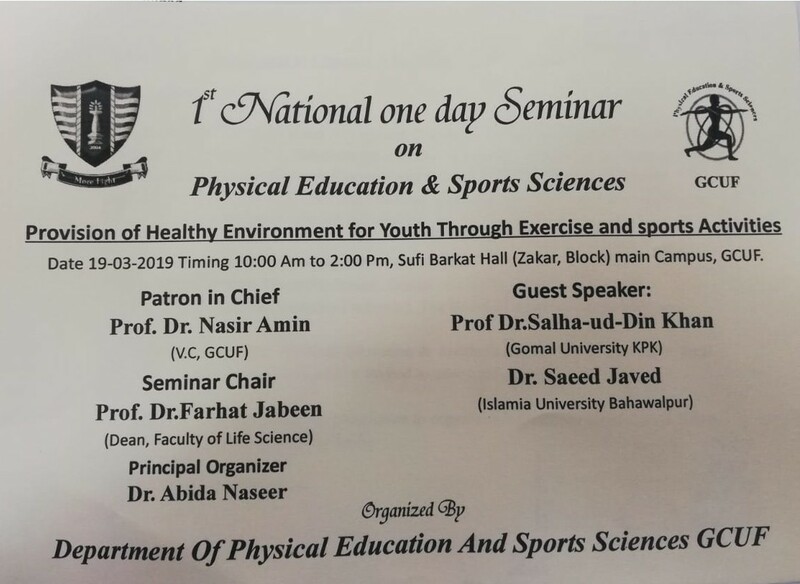 Sechdule of interdepartmental competitions 2019. Position Vacant in the Department of Lyallpur Business School. 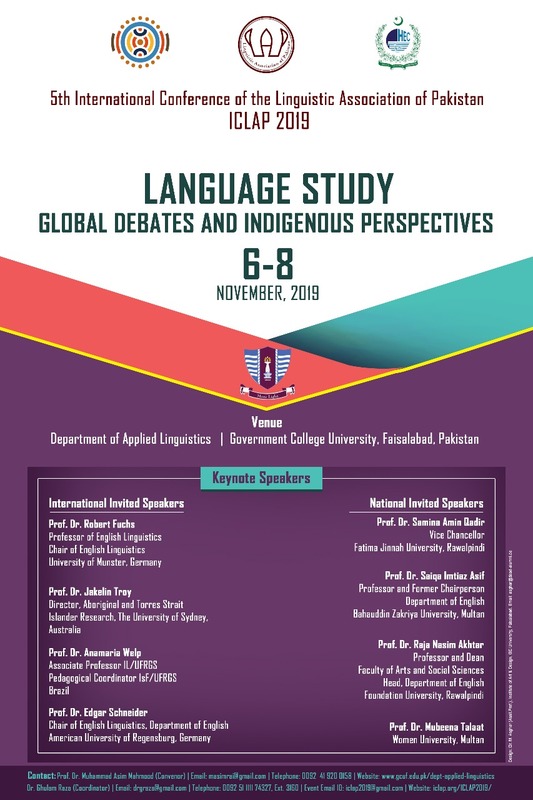 5th International Conference of the Liguistic Association of Pakistan (ICLAP-2019). International Conference at Department of Botany “Water Saving and Plant Production Strategies: Constraints and Implications for Sustainable Agriculture (March 26-28, 2019)”. 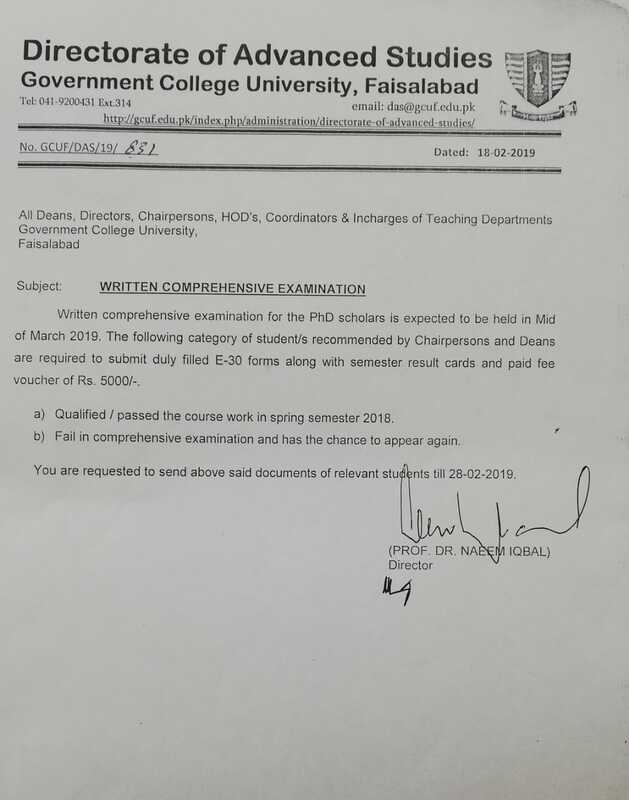 Dear All it is inform that the mid exam of spring 2019 for all semester will be conducted wef 01-04-2019 to 05-04-2019. 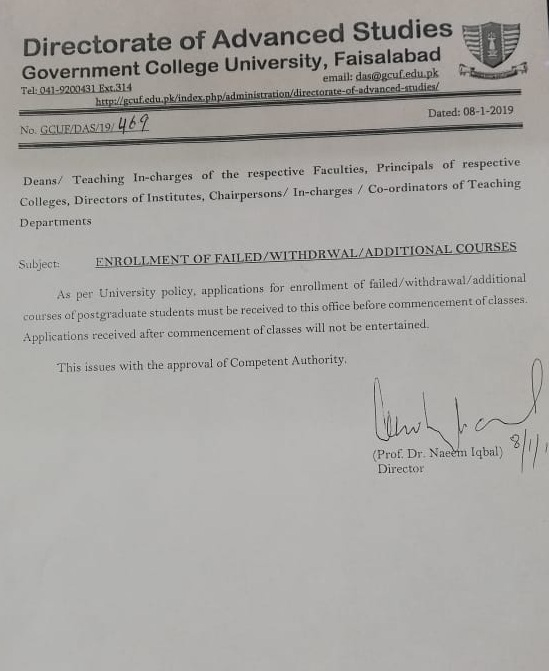 Whereas for BS 2nd semester will be conducted wef 08-04-2019 to 12-04-2019. Please make sure that exam will be conducted within specified time duration. Director Academics. 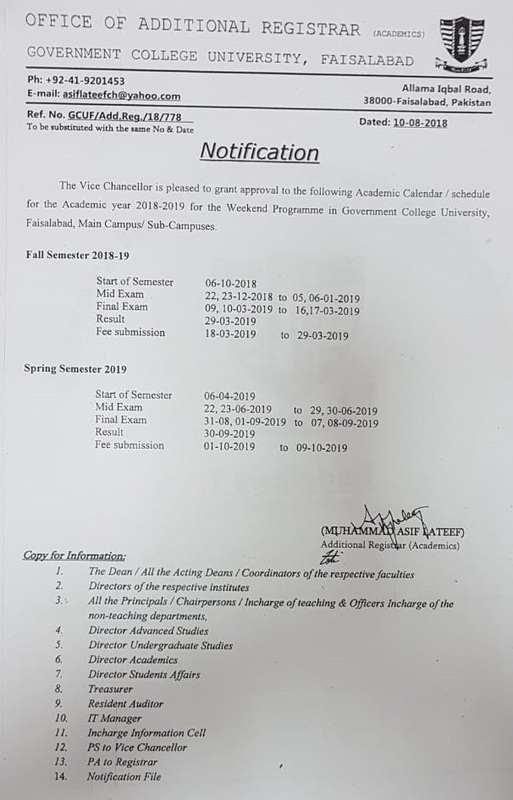 Academic schedule year 2018-19 for Weekend Programme. 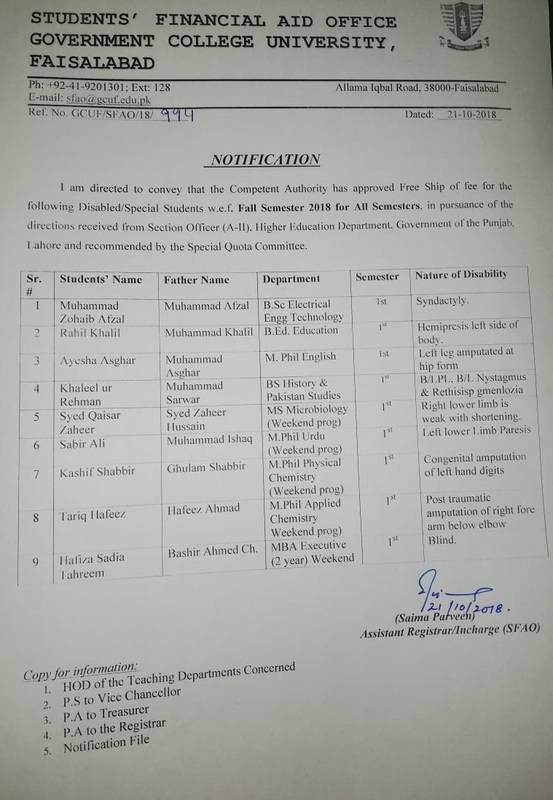 Department English Literature Positions Vacant. Written comprehensive examination for the PhD scholars. 2nd International Conference on March 26-28, 2019, Department of Botany. Fee Schedule Spring Semester, 2019. 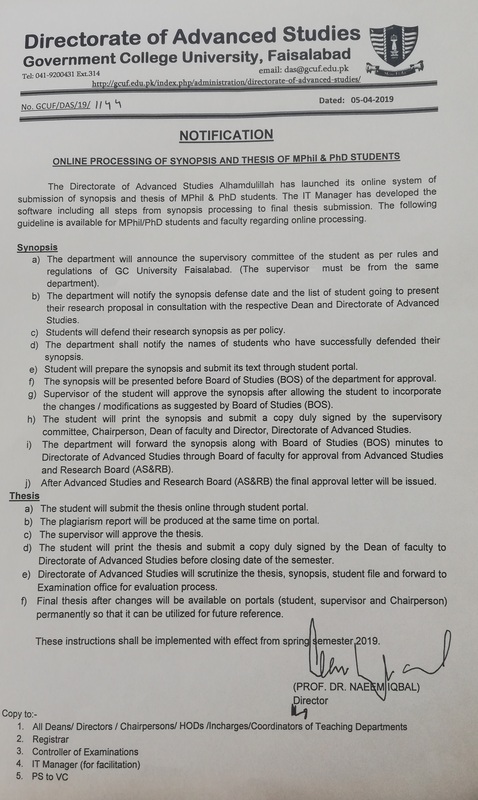 Research Proposal / Synopsis Approval of MS/M.phil & PHD Students. Disables free ship notification fall 2018.